Edited by Melissa Chiu. Text by David Adjaye, Rustom Bharucha, Janet Carding, Melissa Chiu, Caroline Collier, Clémentine Deliss, Adam Lerner, Glenn Lowry, Sophie Makariou, Jessica Morgan, Hammad Nasar, Lars Nittve, Ou Ning, Walid Raad, Hiroshi Sugimoto, Wang Chunchen. Edited by Jens Hoffmann. Foreword by Milovan Farronato. 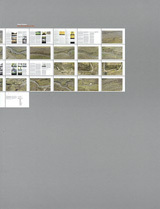 Text by Peter Eleey, Elena Filipovic, Juan A. Gaitán, Sofía Hernández Chong Cuy, Maria Lind, Chus Martínez, Jessica Morgan, Adriano Pedrosa, João Ribas, Dieter Roelstraete. Edited and with text by Jens Hoffmann. Conversation with Hans Ulrich Obrist, Massimiliano Gioni, Maria Lind, Jessica Morgan, Carolyn Christov-Bakargiev, Adriano Pedrosa, Mary Jane Jacob. Text by Jessica Morgan, Ulrich Lehmann. Text by Russel Storer, Jessica Morgan, Michael Taussig. Edited by Madeleine Grynzstejn. Essays by Dan Cameron, Amada Cruz, Jessica Morgan, Ralph Rugoff and Katy Siegel. Foreword by Neal Benezra. 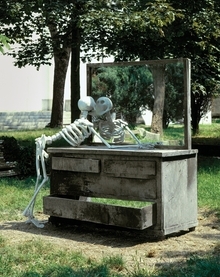 Artwork by Philip-Lorca diCorcia, Richard Prince, Corinne Day, Edwin Wurm. Photographs by Vinoodh Matadin, Inez van Lamsweerde, Fred Aufray, Anuschka Blommers, Jean-Francois Carly, Donald Christie, Philippe Cometti, Horst Diekgerdes, Nathaniel Goldberg, Alexei Haye, Tom Lignau, Blaise Reutersward, Frank Schuhmacher, Niels SchumEdited by Ulrich Lehmann, Jessica Morgan, Olivier Zahm. Text by Gilles Lipovetsky, Valerie Williams, Urs Stahel, Jill Medvedow. Edited by Jessica Morgan. Essays by Robert Storr and Greg Tate. Interview by Jessica Morgan. Foreword by Jill Medvedow. Essay by Jessica Morgan. Foreword by Jill Medvedow. Essay by Jessica Morgan, Katy Siegel. Foreword by Jill Medvedow. Making a Museum in the 21st Century addresses some of the most pressing issues for museums in a new era of popularity and audience engagement. Over the past decade, spectacular buildings and increased attendance have been accompanied by increased expectations for museums to create new ways for visitors to interact with art. Against a backdrop of large demographic shifts and geopolitical shuffles resulting in rapid museum growth in Asia and the Middle East, museums around the world face new opportunities and challenges. 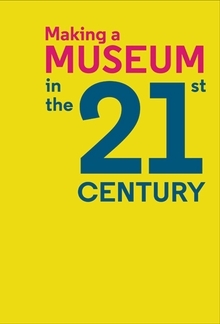 This book brings together the perspectives of prominent museum leaders, directors, curators, architects and artists such as David Adjaye, Melissa Chiu (the Hirshhorn), Adam Lerner (MCA Denver), Glenn Lowry (MoMA), Walid Raad (Cooper Union), Hiroshi Sugimoto and others. Flexi, 6.25 x 9 in. / 160 pgs / 40 color. 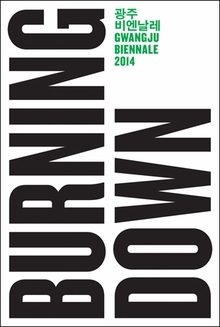 Published on the occasion of the 10th Gwangju Biennale, Burning Down the House, this catalogue documents the exhibition and its many new commissions. The Biennale focuses on the capacity of art to critique the establishment through an exploration of sound, movement and dramatic performance. Paperback, 7 x 10 in. / 256 pgs / illustrated throughout. This monumental new book explores the recent history of exhibition-making, looking at the radical shifts that have taken place in the practice of curating contemporary art over the last 20 years. Tracing a history of curating through its most innovative shows, renowned curator Jens Hoffmann selects the 50 key exhibitions that have most significantly shaped the practice of both artists and curators. Chosen from the plethora of exhibitions, biennials and art events that have sprung up across the world since the 1990s, each exhibition reviewed here has triggered profound changes in curatorial practice, and reanimated the potential of contemporary art. The book includes an international roster of curators, and exhibition venues that span the globe, from the USA, Mexico, Brazil and South Africa to France, Germany, the Netherlands, Turkey and Spain. It is comprised of nine themed sections, including: "New Lands" (on shows such as Magiciens de la Terre, The Short Century and After the Wall); "Biennial Years" (which documents influential biennials such as the Documentas [10, 11, 13] and the Berlin and São Paulo Biennials); "New Forms" (including experiments in exhibition-making such as Do It and NowHere); "Others Everywhere" (on ‘identity politics’ shows such as In a Different Light, Phantom Sightings and the 1993 Whitney Biennial); "Tomorrow’s Talents Today" (on influential group exhibitions of emerging artists such as Helter Skelter and Sensation); and "History" (on historical surveys such as Inside the Visible, Global Conceptualism and WACK!). 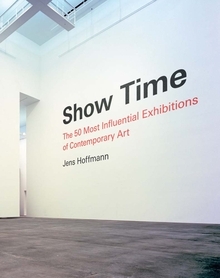 A bold proposition for the future of exhibition culture as well as a means of making the recent past accessible, Show Time is essential reading for any student of curating or museum studies, for professional curators and for all those interested in one of today’s most dynamic forms of cultural production. 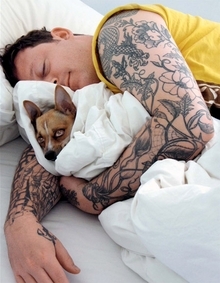 Jens Hoffmann is an exhibition maker and writer based in New York. He is Deputy Director and Head of Exhibitions and Public Programs at The Jewish Museum, New York. He has curated and co-curated a number of large-scale exhibitions, including the 2nd San Juan Triennial (2009), the 12th Istanbul Biennial (2011) and the 9th Shanghai Biennial (2012). Hardcover, 8 x 10.25 in. / 256 pgs / 187 color / 15 bw. Egyptian artist Wael Shawky (born 1971) is a storyteller. 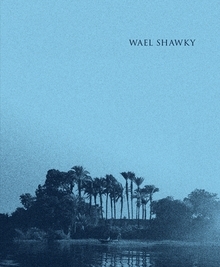 This publication records a new, large-scale video installation based on his personal experiences in Upper Egypt, where, with the collaboration of local children, he restaged the epic story of a local shaman. Hardcover, 9.5 x 11.5 in. / 280 pgs / 98 color / 9 bw. It has become almost obligatory to introduce a book on curating by noting the plethora of recent publications on the subject. How, in just a few short years, did we reach this point of saturation? What questions, exactly, do all these books address? Many attempt to offer an overview of the curatorial field as it exists today, or attempt to map its historical trajectory. Others propose a series of case studies under a common curatorial theme. All are hoping to contribute to this relatively new discipline and its accompanying canon. 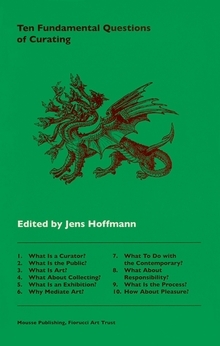 Edited by Jens Hoffmann, Ten Fundamental Questions of Curating offers a real critique of existing publications and modes of thinking by explicitly asking the questions that others have missed, ignored or deemed already answered: What is a curator? What is the public? What is art? What about collecting? What is an exhibition? Why mediate art? What to do with the contemporary? What about responsibility? What is the process? How about pleasure? Here, Peter Eleey, Elena Filipovic, Juan A. Gaitán, Sofía Hernández Chong Cuy, Maria Lind, Chus Martínez, Jessica Morgan, Adriano Pedrosa, João Ribas and Dieter Roelstraete each propose and then address one question. Ten Fundamental Questions of Curating takes a back-to-basics approach--a return to a kind of zero-degree state--at a time when a recalibration of what a curator is and does seems both necessary and urgent. Paperback, 6 x 9.5 in. / 144 pgs. Urs Fischer provides an overview of the Swiss artist’s heterogeneous oeuvre and features many of his best-known works. Designed and conceived by Fischer, the book is arranged thematically rather than chronologically, with clusters of works that allow the reader to observe how Fischer has explored disparate formal strategies to engage with his multifarious interests--which include gravity, architecture, shadows, representation, destruction, entropy and time--and revisit favorite motifs, such as furniture, fruit, animals, skeletons and other surrogates for his cardinal subject, the human body, over the past decade and a half. 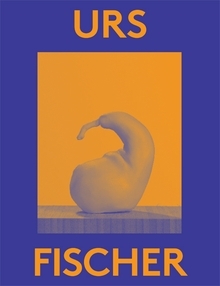 Produced for his retrospective exhibition at the Museum of Contemporary Art in Los Angeles, this hefty volume includes essays by Jessica Morgan and Ulrich Lehmann that unpack the dominant thematics in Fischer’s work and examine the significance of the materials and production techniques in his sculptural practice. 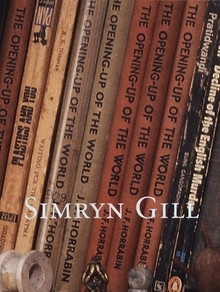 Paperback, 8.75 x 11 in. / 650 pgs / illustrated throughout. Swiss artist Urs Fischer is best known for his dramatic transfiguration of the exhibition space, as well as for his unexpected transformations of quotidian objects. Offering grand gestures with a pop attitude, the artist works in a variety of media--which is grounded in sculpture despite the artist's training as a photographer--to explore the intersection between art and everyday life. Part of the new 2000 Words series, conceived and commissioned by Massimiliano Gioni and published by the Deste Foundation, this colorful monograph, with an essay by Jessica Morgan, presents the wide array of Urs Fischer's work in the Dakis Joannou Collection. Paperback, 7.25 x 10 in. / 160 pgs. Sydney-based Simryn Gill is interested in how we locate ourselves in the world through objects. By photographing, casting, collecting and arranging various objects, she demonstrates how meaning is dependent on context. This first monograph features works from the past two decades and in-depth essays illuminating her idiosyncratic process. Paperback, 7.25 x 9.5 in. / 160 pgs / 110 color / 20 bw. Nan Goldin shoots campaigns for Prada, David LaChapelle does Camel cigarette ads, and Jurgen Teller got his start photographing models in i-d, w, and The Face. The debate between aesthetic images and commercial pressure has perhaps never been so relevant and complex as it is today, with the increasing commercialization of the art world, the not insignificant exploratory aspects of fashion photography, and our constantly expanding realm of visual references. To study these tensions and overlaps, Chic Clicks invited some 40 photographers to present both their free work and their published editorials from fashion magazines and advertising campaigns. Photographers well-known for their commercial work offer personal and exploratory prints; those who gained prominence in the fine arts display work they were subsequently hired to do for fashion companies and magazines. Accompanying essays approach fashion photography from various perspectives, from that of cutting-edge fashion magazines to the field of contemporary art photography. 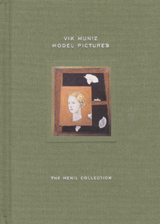 Published by The Menil Foundation, Inc.. Essay by Matthew Drutt. Preface by Louisa Stude Sarofim. Essay by Suzanne Wise. Introduction by Jessica Morgan. The implicit violence, frozen narratives, and pared-down, comic-book aesthetic of Layla Ali's gouache-and-ink drawings present an ambiguous place where civilization and psychology meet. Psycho-political situations are suggested, but rarely acted out, by figures dressed in costumes derived from superhero wear and sports gear, garb reminiscent of outfits worn by the KKK, the Pope, and Coptic priests. Who are they? What are they doing? Their gender neutralized by unisex costumes, their race neutralized by green-colored skin, Ali has created a tight, contained, strangely compelling hand-drawn world in which questions are unanswerable, narratives refuse to go forward, and yet everything is eerily perfect. Artist Rineke Dijkstra has appropriated the formal qualities of the studio portrait from the early part of this century--taking the convention of the full length, frontal and centrally composed portrait to its logical limits, she is able to penetrate to the core of her subjects. Each photograph is marked with a precise date and location, suggesting a conscious evocation of the work of the early 20th century photographer August Sander and his project to document the ''Citizens of the Twentieth Century.'' Dijkstra's photographs stand by themselves, bearing no reference to personal circumstances or the specific geographical details of the location--the power of her images lies in an intimate psychological connection between artist, sitter, and viewer. For Dijkstra's best known series of photographs--an extensive series of beach portraits of teenagers and children taken on beaches all over the world between 1992 and 1996--the artist sought out a certain introversion or unease in her subjects, capturing with rare perfection the human condition of feeling not-at-home in the world. This brilliant new monograph documents Dijkstra's recent photographic and video work. 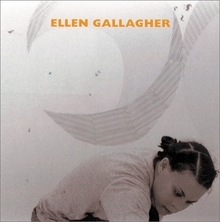 Ellen Gallagher has emerged as one of the most acclaimed young artists in the United States over the past decade, and this book will be the first to present a significant body of recent work in one volume. Gallagher inflects the surface of her layered drawings and paintings with unique irony and wit. They refer obliquely to a history of African American stereotypes through minute interventions on the canvas: tongues, eyes, wigs, and lips appear like individual musical notes. Their lack of fully formed bodies underlines the manner in which these stereotypical images were used: appearing as disembodied parts in advertisements, toys, and other products of the popular culture. It is through repetition of this limited vocabulary of signs that meanings are established and transformed in Gallagher's work. 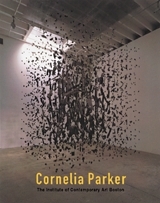 The large-scale paintings in the exhibition and this accompanying book explore her personal iconography of forms. Included will be Gallagher's recent all-black paintings as well as a carefully selected group of drawings from the artist's own collection. 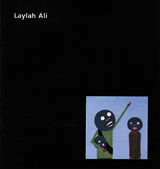 In addition, it features an extensive interview with the artist, for which she has executed several drawings specifically to illustrate this section, as well as critical essays on the work. This new catalogue accompanies the first major U.S. museum presentation of work by internationally celebrated Danish artist Olafur Eliasson, whose photography, sculpture, and installation work are distinguished by poetic economy of means and a quiet, elegant beauty. Eliasson's work typically transforms the museum or outdoor setting through installations that combine the artist's concerns with both the ephemeral natural effects of light, water, and wind and more tangible materials such as thorns, moss, and grass. His work is characterized by simplicity of approach. Despite its often-remarkable effects--rainbows, massive waterfalls, walls of steam--the technology required to create the work is relatively simple and clearly exposed for the viewer to observe. Eliasson has also worked extensively in the field of photography, frequently documenting the landscape of Iceland, his home for many years. Presented in serial grid format, Eliasson approaches photography with the mind of an amateur scientist, documenting different cave formations or icebergs in dozens of studies that take on the appearance of independent sculptural objects. Paperback, 8 x 10 in. / 100 pgs / 45 color. South African artist Marlene Dumas has cultivated a unique position within the world of figurative painting since the early 1980s, focusing on how the human body is translated into an image. Dumas dose not use models, but instead takes her images from mass media and popular culture sources, particularly newspapers and television. According to Dumas, ''what interested me was to make a statement about peoples' frames of mind and the relationships between them.'' Dumas' pictures impress with their urgent realism--but within their provocative energy lurk provocative questions about gender, identity, oppression, sexual and ethnic violence, and the situation of women and minorities; Dumas is always seeking to initiate new thought processes and critical strategies. Featuring the series of drawings One Hundred Models and Endless Rejects, this book provides an overview of the last ten years of Dumas' brilliant and challenging work. Essays by Bruce W. Ferguson, Jill Medvedow, Jessica Morgan. Published by D.A.P./San Francisco Museum of Modern Art. su-per-no-va: n., pl. A rare celestial phenomenon involving the explosion of most of the material in a star, resulting in an extremely bright, short-lived object that emits vast amounts of energy. Given the massive shift in the West's cultural sensibility in the wake of the 9/11 attacks and the current global political situation, the 1990s and its over-the-top, anything-goes art scene suddenly appear much more historical than contemporary. If we really are at the turning point that we seem to be, then we've arrived at a particularly opportune moment for reconsideration, for assessing the legacy of the decade after the frenzy has subsided. Supernova brings together a number of curators and critics--each of whom was actively involved in constructing the 1990s art discourse--to step back and consider what trans-identity, broad-based thematic trends can now be identified as emblematic of, or seminal to, the decade. The Kent and Vicki Logan collection of contemporary art offers a compelling and visually alluring vehicle to consider such issues, as these ambitious collectors were firmly planted at the center of the scene--acquiring some of the most challenging and iconic art of the period, including works by Young British Artists (YBAs), Asian practitioners and a diverse array of influential women artmakers. 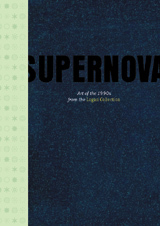 In Supernova, reproductions of these artists' works are dispersed among contributors' essays, which explore such themes as beauty and the abject, iconoclasm and the role of social activism in art.